The United Nations have designated the 19th November as “World Toilet Day”, whilst the title may seem chuckle worthy, it actually exists to inspire action to tackle a very serious global crisis. 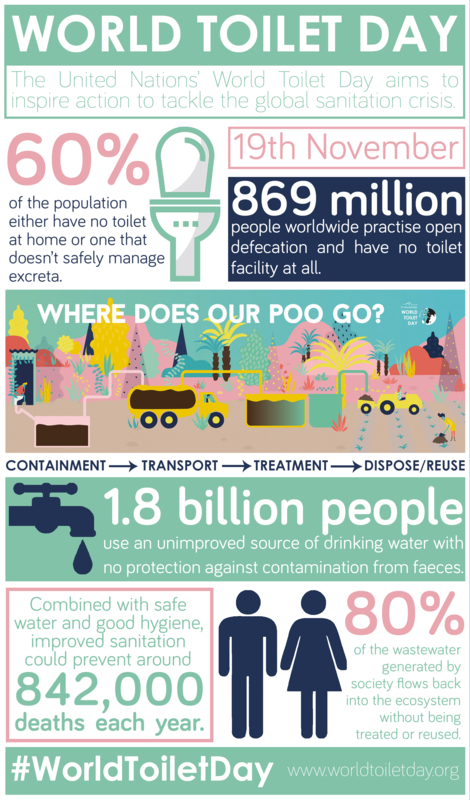 60% of the world’s population do not have access to adequate toilet facilities in their home – this can lead to wastewater flowing back into the ecosystem completely untreated, which in turn exposes humans to potentially fatal bacteria and diseases. Newcastle University’s Professor David Graham, who investigates antibiotic resistance, was involved in a study which focused on the Ganges River in the foothills of the Himalayas. 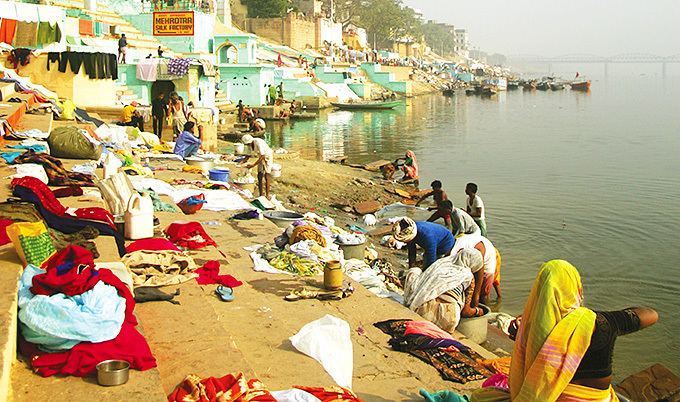 Each year masses of pilgrims descend on sacred sites along the river to bathe in the water. The existing waste handling systems in these areas cannot cope with the demand and ultimately, untreated human wastes ends up in the river. Water sediment samples from the rivers show strains of antibiotic resistant gene levels about 60 times greater per capita when the pilgrims are present compared with other times of the year. Once in the water these genes may then be ingested by other users of the river, potentially creating widespread antibiotic resistance. Professor David Graham explains: “In the age of international travel, antibiotic resistance genes and organisms in the gut of individuals as a result of inadequate sanitation can be carried anywhere, exposing wider populations to such resistance. We know that many ‘hotspots’ of antibiotic resistance exist around the world, particularly in densely populated areas, such as urban Africa, the subcontinent and Latin America, where there is inconsistent sanitation and generally poorer water quality. Professor Graham’s work has influenced policy on an international level; presenting evidence to the US Presidential Advisory Council on Combatting Antibiotic-Resistant Bacteria he explained that that current policy underestimates the importance of improving water quality and waste management at global scales, which is key to reducing antibiotic resistance in health systems around the world. For more information on how Newcastle University is working towards the UN’s Sustainable Development Goals visit ncl.ac.uk/globalchallenges.